Outfitted in black and orange, box elder bugs have the look of Halloween about them, but they’re no treat. We’ll share some tricks for getting rid of box elder bugs. But first, a little bit about these nuisance insects. 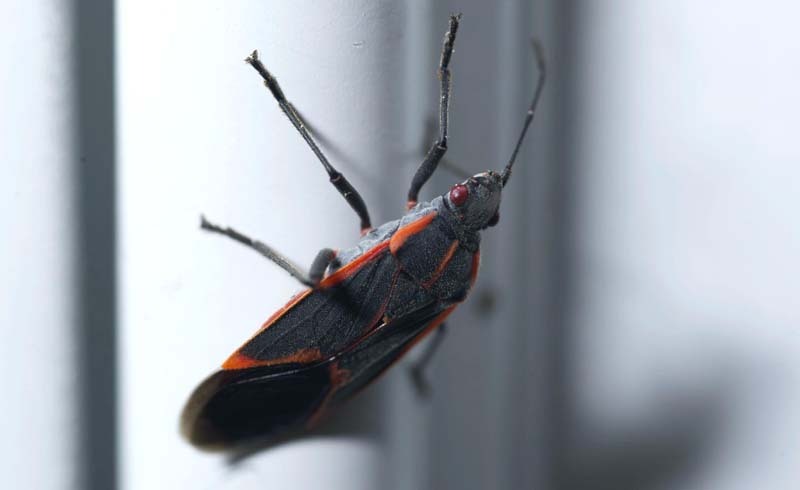 Box elder bugs are seldom a major problem—they’re more of an annoyance because they tend to head indoors looking for shelter as winter approaches. They push into cracks and other openings and often congregate around windows on the southern or western side of a house, where it’s warmer. While they don’t cause property damage, box elder bugs do sometimes stain surfaces, and they can be a hassle to deal with in large numbers. Late summer and fall are the best times to control box elder bugs. Seal possible entry points with caulk or spray foam. 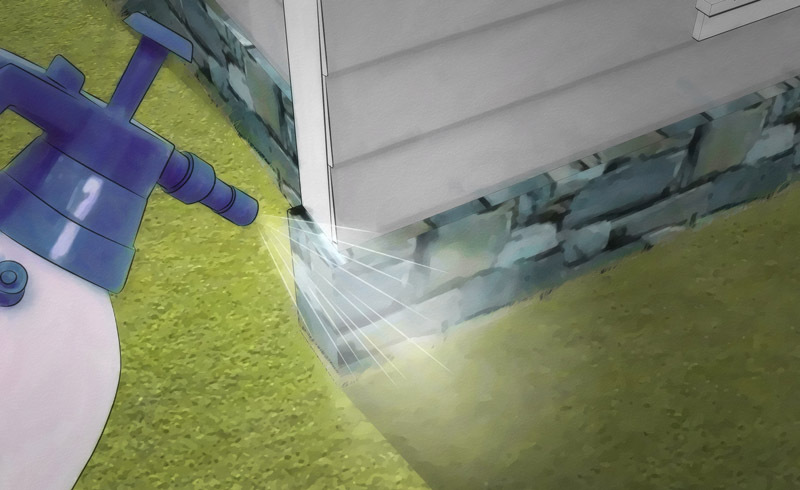 Install door sweeps on exterior entry doors and a rubber seal along the bottom of garage doors. Also replace damaged window and door screens as well as those around roof and soffit vents. To get rid of box elder bugs, you can use an insecticide around the outside of the building when box elder bugs start to cluster in late summer. Incidentally, if you see box elder bugs clustering around the outside of a structure in spring, they are headed out and away from the house and there is no need to use an insecticide. Once box elder bugs are in the house, they can stain walls and other surfaces with excrement. Rather than using an insecticide to get rid of box elder bugs indoors, you are better off vacuuming up any bugs you see. While box elder trees (Acer negundo), maple relatives (Acer spp.) and ash trees (Fraxinus spp.) are potential hosting sites, box elder bugs can fly blocks or even miles, so removing a tree is probably not going to help much. If you have a tree that is infested with box elder bugs, you can spray the tree in early summer when nymphs are exposed and eating seeds and leaves.